If you are an expecting mother, or have been, you know the overwhelming amount of baby stuff there is for you to look at, research and buy. It’s nice to be able to have some clear information on what products really do work and which ones will last the longest. 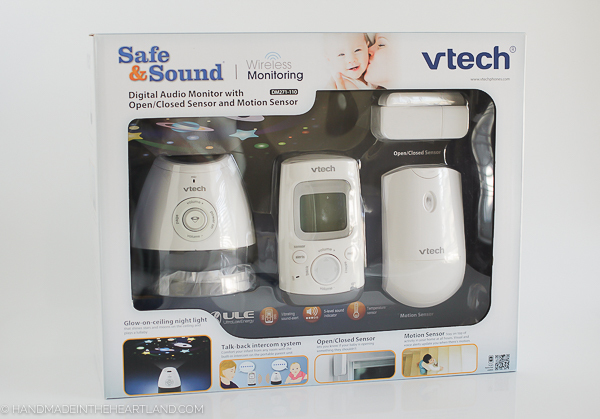 Today I’m partnering with the motherhood and VTech to talk about the VTech Safe&Sound® DM271-110 DECT 6.0 Digital Audio Baby Monitor with Open/Closed and Motion Sensors that will work for you and your kiddos well beyond the first year. When this monitor system arrived in the mail I really didn’t have any idea just how awesome it was. I currently have a 5 year old, 4 year old & 8 month old. I was impressed with how this system is helping me with all 3 kids, not just the baby! In this post I will explain how this monitor will help you throughout your kiddos childhood, the first year and beyond. 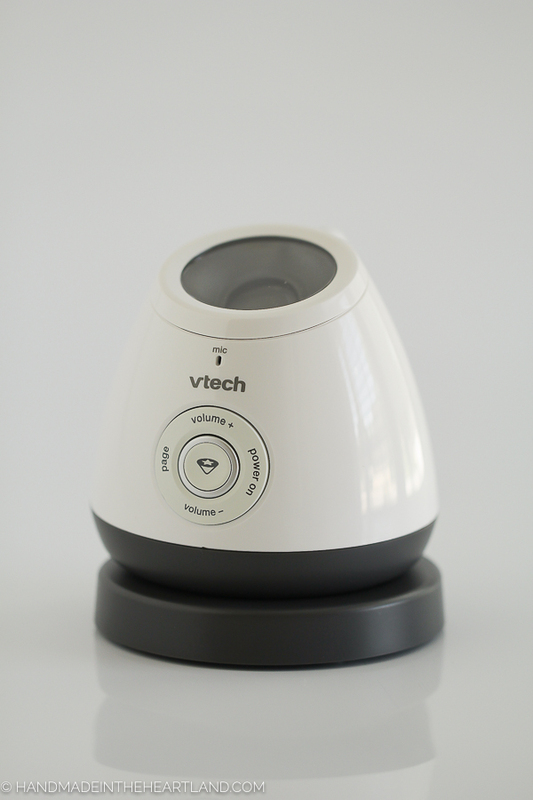 Using the VTech Digital Audio Baby Monitor when your baby is a baby! Of course this monitor does the standard listen to baby while she’s sleeping scenario but it has some other great features that I love. I love the temperature sensor that shows on the parent unit what the temperature is in the nursery. I really like the projector- it creates the perfect light for being able to go in and feed the baby without turning on any other lights but soft enough for baby to sleep soundly. The sound transmission is digitized which means it is so much more clear with less background noise, interference and it ensures the audio is private and secure. I can’t stress how nice the last point is. We have had a very basic monitor for years and plugging this new one up was literally amazing at how much clearer the transmission was! 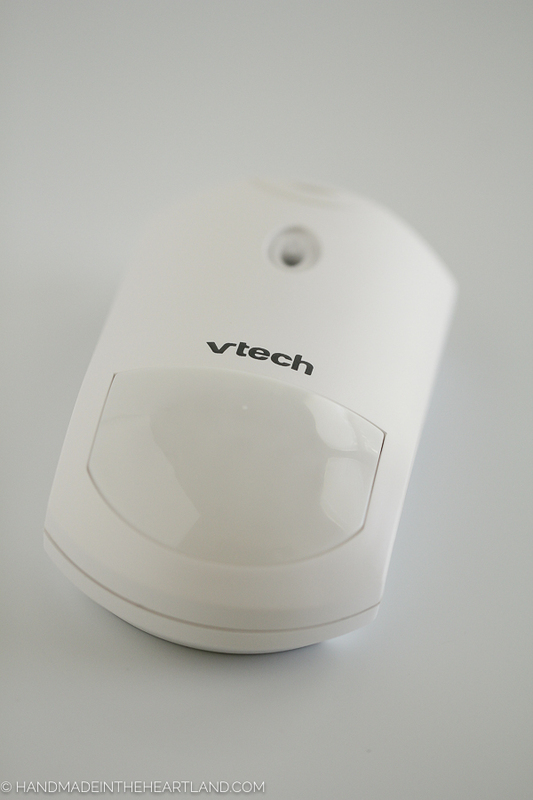 Using the VTech Digital Audio Baby Monitor When your baby is a Crawler. The DM271-110 comes with some really awesome motion sensor technology. 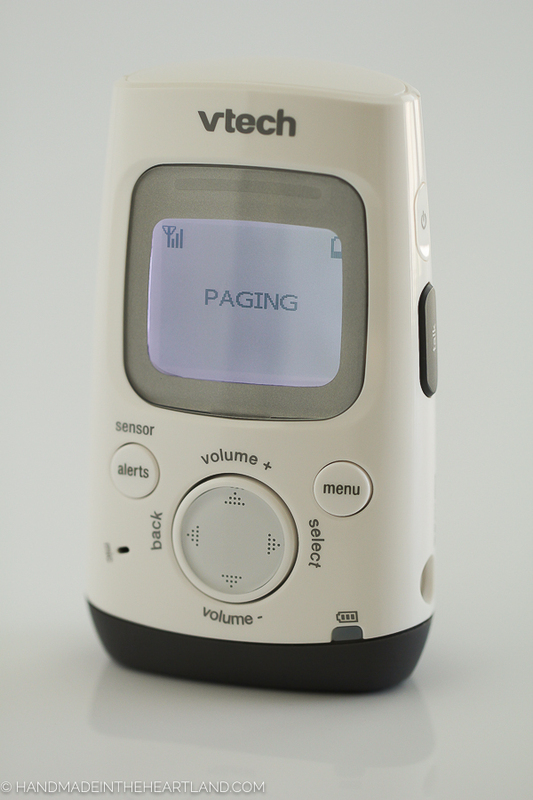 It has a mounted motion sensor (pictured above) that you can mount anywhere to be alerted on the parent unit when there is motion in an area. It’s perfect for the area near the stairs or a room where you don’t want baby to go. 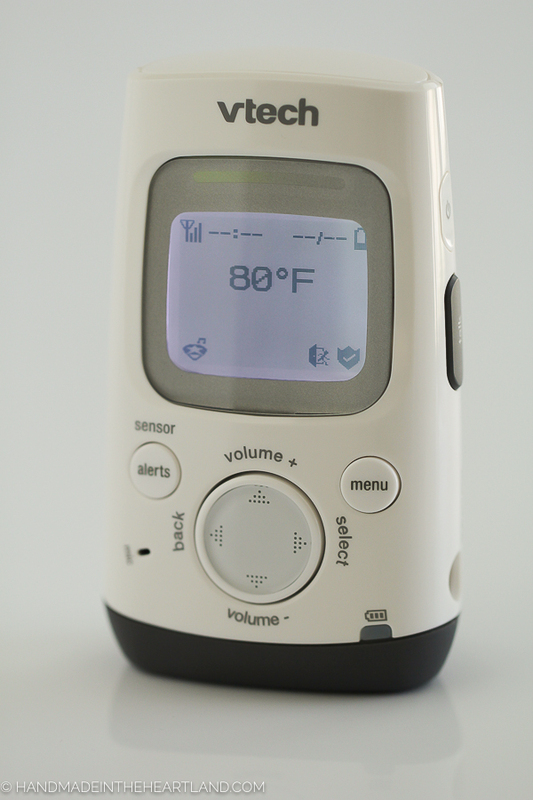 The parent until has a clip on the back so you could wear the unit and have it with you wherever you go, I like that you can have it turned to vibrate for the motion alerts! It comes with open/closed sensors that are meant to be attached to doors to alert you if they are opened. I love this for cabinets that contain cleaning supplies or other potentially hazardous items for baby to get to. I know all too well that babies get into things in just the second you look away and even if they are already baby proofed! 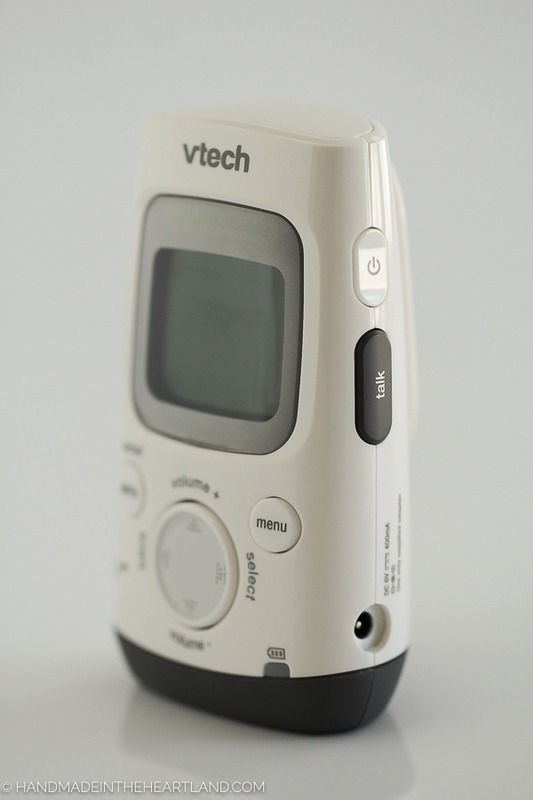 Using the VTech Digital Audio Baby Monitor When your baby is a Toddler & Big Kid. Listening to big kids. You might not think you’d want to listen to your big kids but hearing the happy play between my 4 and 5 year old makes me super happy. I love to hear their little conversations during pretend play! It’s also great for hearing an argument as it unfolds instead of trying to decipher what really happened in the aftermath of crying and yelling. The motion sensors can come in handy for big kids as well. We have a basement door that goes to the backyard, I’m often not in the basement with the kids so having the open/close sensor on that door is fantastic because I’m alerted when it opens! You have the option to purchase more open/close sensors- you can connect up to 20! How would you use this monitor? 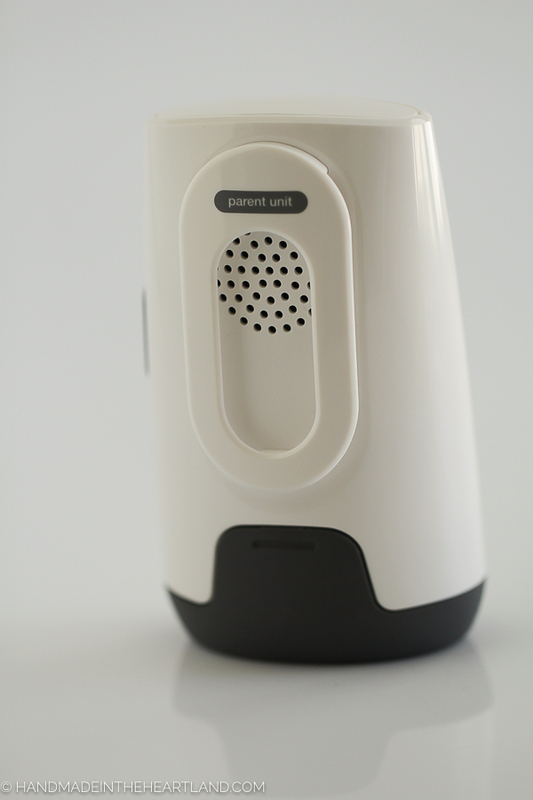 I’d love to hear how old your kids are and what you would use the motion sensor features for. 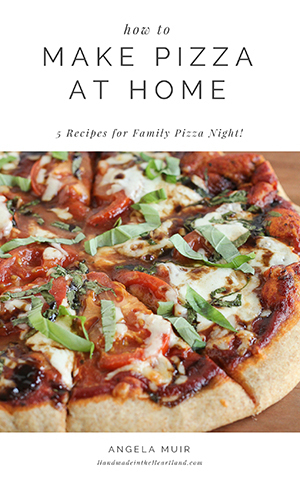 Do you have a teenager who likes to sneak out at night 😉 Leave a comment or let me know on Facebook!